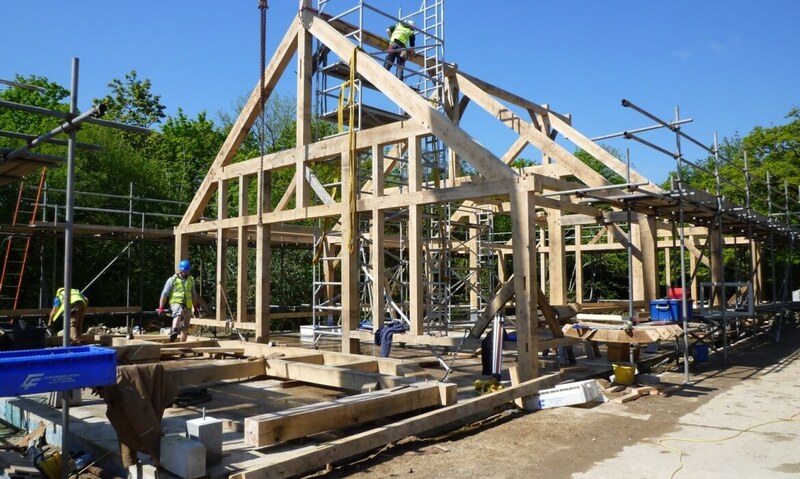 A brand new building to hold wedding services and celebrations in the context of two listed farm buildings and a mill pond leat. 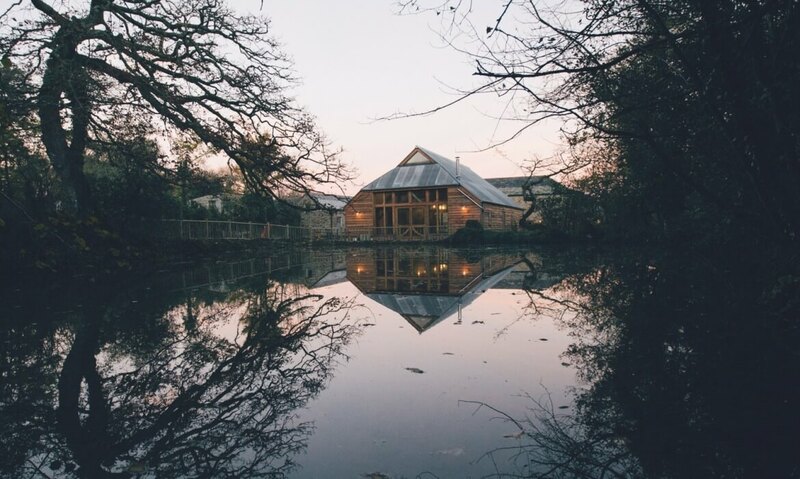 The four bay, oak framed structure (measuring 20m x 10m or 64ft x 24ft) provides a space where bride and groom can literally ‘walk up the aisle’, and a significant number of places where they can be photographed on that journey. 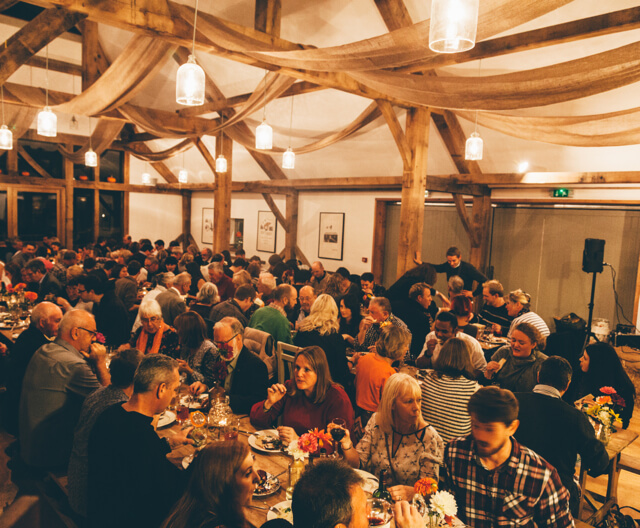 The space works equally well for celebrations and suppers. 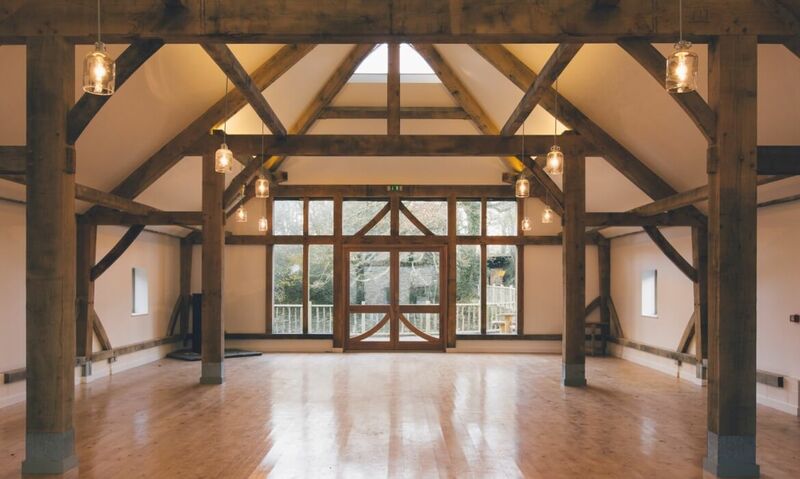 Electrical and natural lighting were paramount in the design, with artificial lighting concealed within the oak purlins, and the whole space lit up by the natural celestory lights in the hip end. Within minutes of our initial (chance?!) meeting, it was clear Mat would be instrumental in creating our vision for Nancarrow. Our (and by Our I mean Steve, Lucy & Mat’s) Oak Barn rose from a vague, novice, brief. Early creative sessions were interactive, fun and inclusive; Mid project wobbles, and changes to the brief were dealt with with encouragement and solutions, and finishing touches were implemented with passion equal to the client. The result is a true, difference maker. It’s a privilege to witness the joy a building can bring to so many people, and to be part of the journey. Matt Robinson: Sketch design, planning, building and construction drawings, and frame design.